Huma Temple is one of the famous and popular temple in Samablpur as well as in Odisha. This temple is situated at about 23 kms from Sambalpur Town. 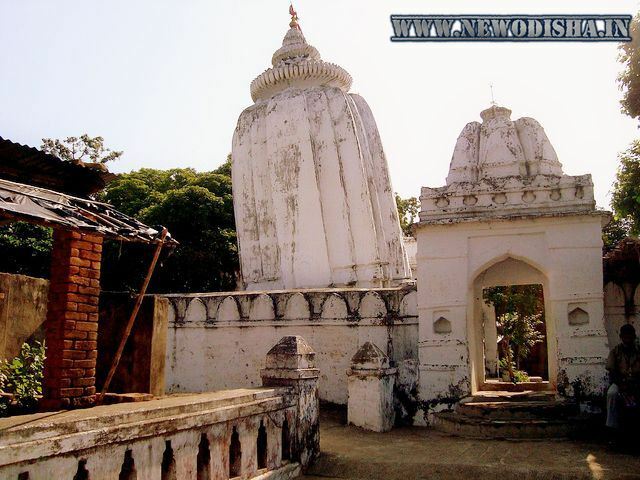 Huma is a village which is situated on the left bank of the Mahanadi, is famous for the Leaning temple dedicated to Lord Shiva, which was built in the reign of Baliar Singh, the 5th Raja of Chauhan Dynasty of Sambalpur. See belwo to know about the major attraction of Huma and the detailed information about the Huma Shiva temple of Sambalpur and how to reach this beautiful and famous temple of Samablpur. According to the legend, there was a milkman who used to cross the river Mahanadi every day, to worship Lord Shiva. He used to offer milk to the rock idol of Shiva, which consumed the milk every day. The presiding deity is Bimaleswar Shiva. The leaning Shiva temple of Odisha known is for its unique structure that tilts to one particular direction while its subsidiary temples tilt towards other direction. And within the temple complex i.e. within the boundaries of temple, everything found to be in tilted condition including the boundaries. No satisfactory explanation to this extra ordinary phenomena is available till now.However with the kind of tendencies it displays, the temple could well be India’s own version of the Leaning Tower of Pisa. The most visited day of this Huma Shiva temple is the Shivratri, when a large number of devotees come here for offering milk to the idol of Lord Shiva, present in this temple. You can see one of special fish which are called as ‘Kudo’ fish. They are said to be so tame that they will eat sweets and other foods from the hands of those who bathe close to the temple. During auspicious days they are called by their names and given the ‘Prasad’ of the God. Here nobody tries to catch them as they are believed to be the assets of the God. If You want to See the Other Tourit Spots in Sambalpur then See here the Tourist Spots in Sambalpur and Other Tourist Attractions in Odisha. Give Responses for "Huma Leaning Shiva Temples of Sambalpur"